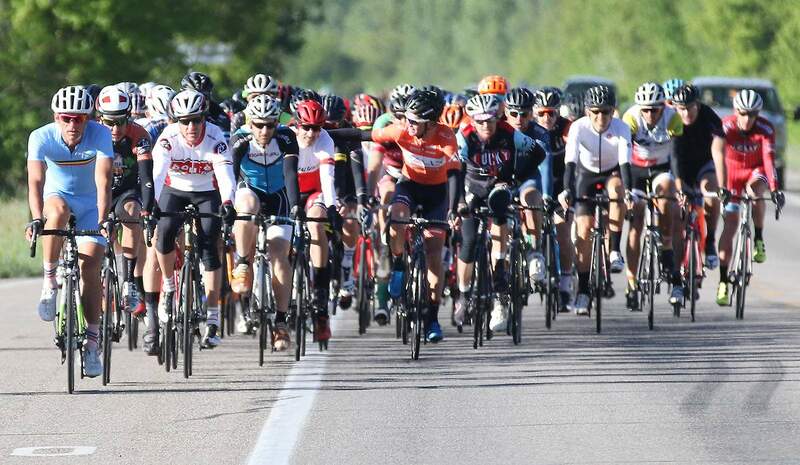 Sepp Kuss left his fellow racers in awe Saturday at the 46th annual Iron Horse Bicycle Classic. 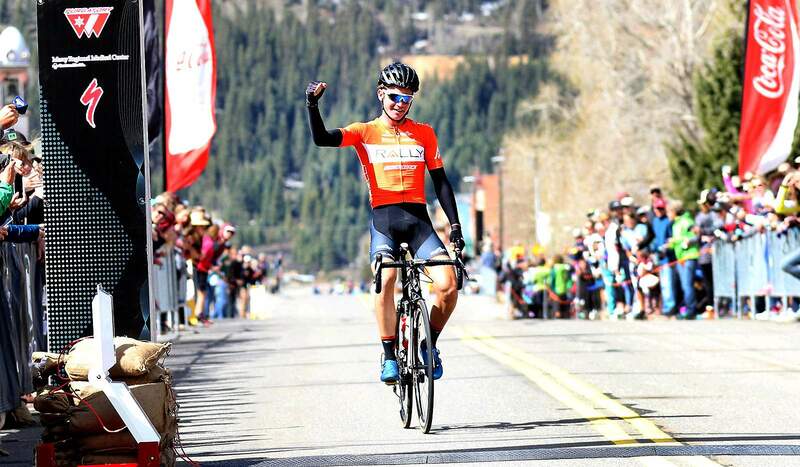 Kuss, a 2013 Durango High School graduate, chased down Albuquerque’s Mark Aasmundstad halfway up the final climb on Molas Pass and rode solo to the finish line at the end of Greene Street in Silverton to claim his first career victory in his hometown event. He finished in 2 hours, 20 minutes, 50.9 seconds. 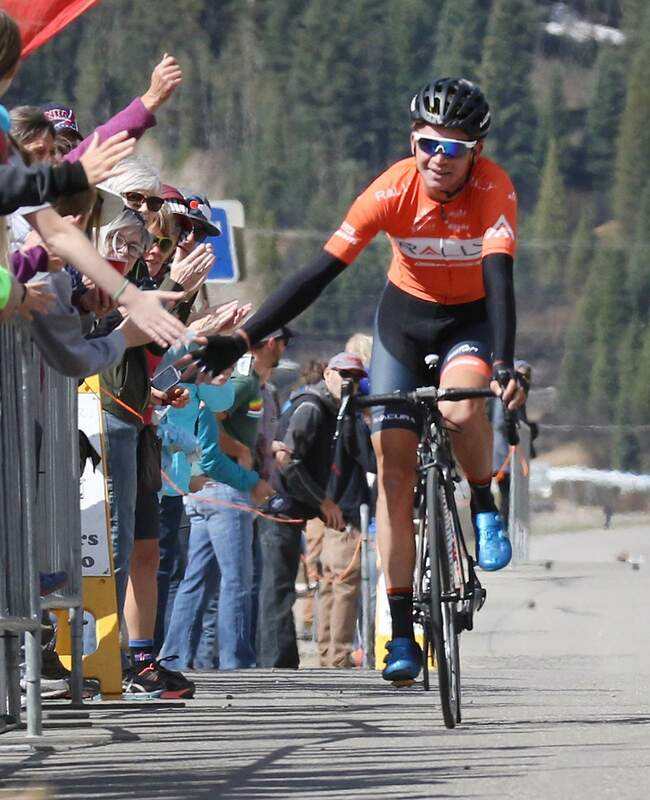 The 22-year-old Rally Cycling team member has established himself as one of the top climbers on a road bike in the country, and he proved it with a dominant display on Coal Bank and Molas passes to win the 47-mile race that features 6,700 feet of climbing. 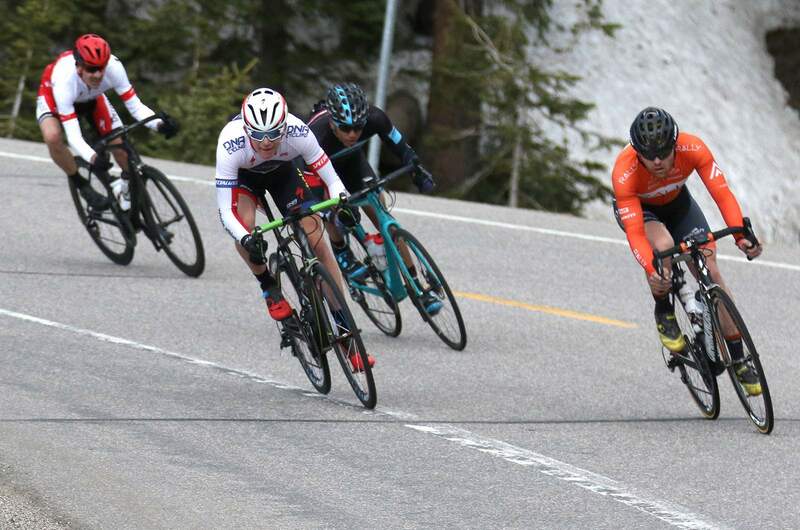 It wasn’t without a strong effort, as Aasmundstad rode solo in the lead from Durango until he was caught on Molas Pass. He had more than a 6-minute lead after Shalona Hill, and Kuss and third-place finisher, Durango’s Howard Grotts, had to give a mighty effort on Coal Bank Pass to bridge that gap. Aasmundstad, 42, finished second in 2:23:24.8 to finish ahead of Grotts, the 2016 U.S. representative in the mountain bike event at the Olympics. Grotts crossed in 2:24:44.9. It was the first time since 2012 Aasmundstad has raced the IHBC road race. That year, he was passed by Grotts at nearly the same place Kuss caught him this year. The New Mexican said it wasn’t his strategy to jump out to a big lead so early, but he went with the flow of the race and felt good riding alone in the front. He was pleased to finish between Kuss and Grotts. 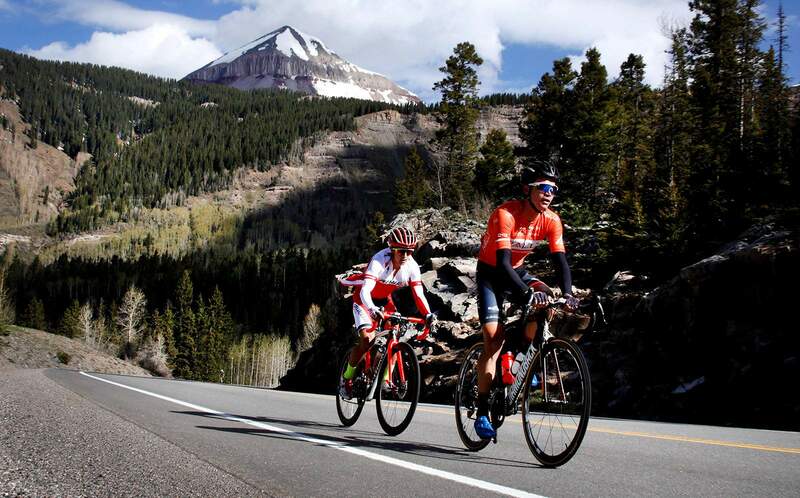 “Those guys are in a different league in the climbs, best in the country,” Aasmundstad said. “One of the things I do in cycling is ride my own race and don’t compare myself to people during the race or after the race. Sepp came by me and asked if I was the last one, and I said yes, and he looked great. Kuss, though, was worried about having to battle Aasmundstad in the final miles. “He was riding really strong,” Kuss said. “I was hurting when I came up to him. I was a little worried we might have to battle it out over the top, but I kind of turned on the gas again and carried my speed over the top. Aasmundstad built a massive gap as the rest of the chase peloton rode at a slow pace through the valley before the first real climb on Shalona Hill. 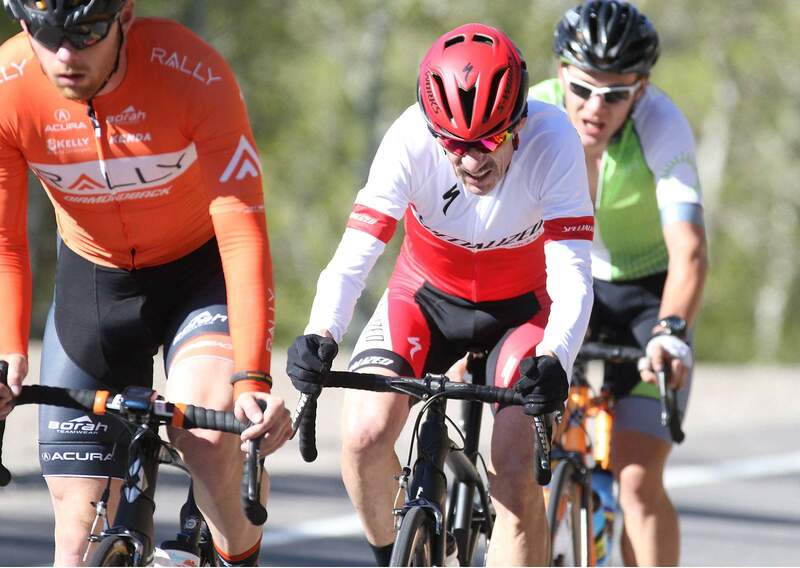 Five-time IHBC road race champion and 61-year-old legend Ned Overend recognized the slow pace and went to the front of the peloton to set a stronger tempo for the rest of the group. Overend finished seventh. Grotts stayed with Kuss for the first portion of Coal Bank, but there was no staying on his wheel for the entire climb. By the time Kuss turned the corner around Lime Creek to start up Molas, he was a full minute ahead of the 23-year-old Grotts. Grotts said he was ready for the race to be over on the top of Molas. He ground out the final miles at his own pace and called it the toughest race of his season so far. It was his first IHBC since 2012. Benjamin Sonntag, last year’s road race runner-up, finished fourth in a sprint to the line against Rotem Ishay. Sonntag crossed in 2:26:05.6, and Ishay rounded out the pro men’s podium in 2:26:07.3. Payson McElveen was sixth in 2:26:08.5. Durango’s 16-year-old Quinn Simmons was impressive in the downhills and stayed strong in the climbs. He was in the lead group a year ago but fell back on Coal Bank Pass. This year, he hung tough and finished eighth behind Overend in 2:26:10.4. Overend credited Simmons’ mental fortitude for getting to the line in the top 10 this year. The IHBC legend was also thrilled to see Kuss take the prize. Kuss will return Monday to Boulder, where he graduated from the University of Colorado earlier this month. He will get ready for the second half of his pro schedule beginning with the Tour de Beauce. 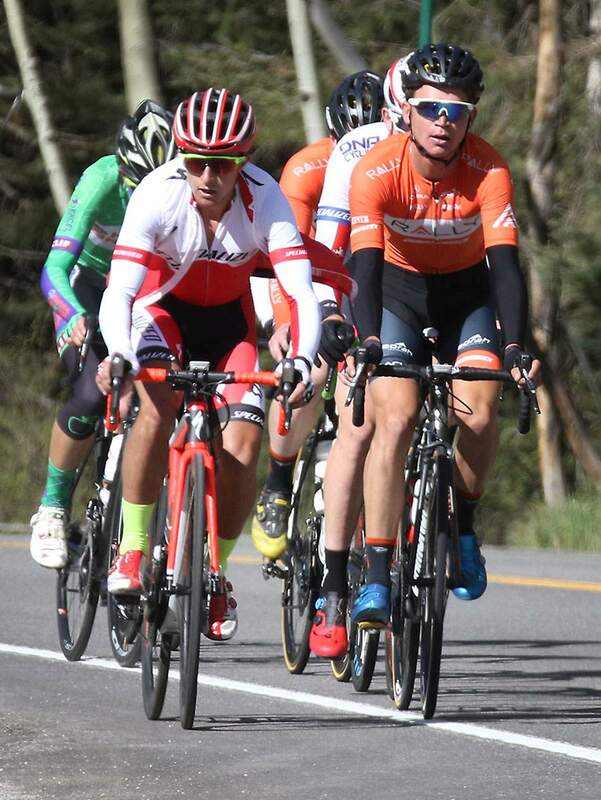 He said he had two strategies going into Saturday’s race with Rally Cycling teammate Colin Joyce. He was thrilled to have Joyce’s help early in the race, but, when Joyce fell back, he had to implement Plan B to take the win. IHBC road race 2017 Iron Horse Bicycle Classic Road Race Men's and Women's Pro. Howard Grotts, left, and Sepp Kuss, make their way up Coal Bank Pass toward Silverton on Saturday during the 2017 Iron Horse Bicycle Classic pro road race. Sepp Kuss is congratulated by fans as he wins the 2017 Iron Horse Bicycle Classic pro road race on Saturday in Silverton. Sepp Kuss wins the 2017 Iron Horse Bicycle Classic pro road race on Saturday in Silverton. The men’s peloton moves through the valley north of Durango on Saturday during the 2017 Iron Horse Bicycle Classic pro race. Riders in the 2017 Iron Horse Bicycle Classic pro road race on Saturday fly down Coal Bank Pass. 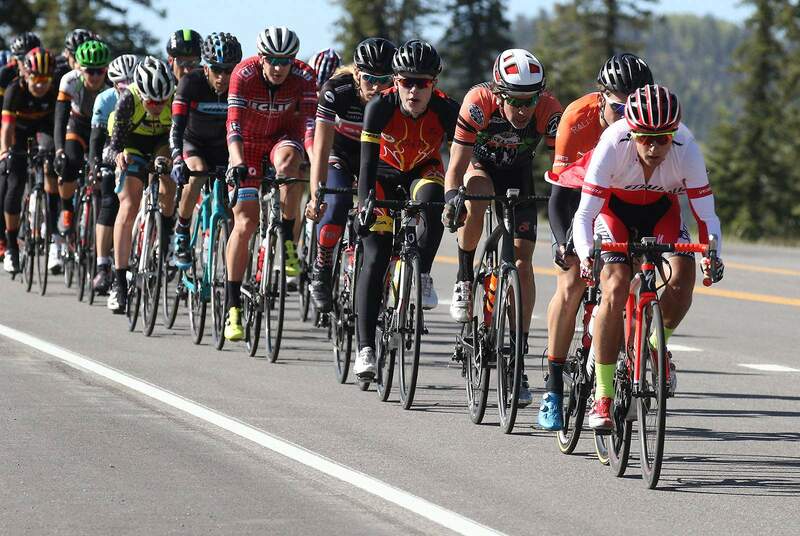 The men’s peloton make their way towards Purgatory Resort north of Durango on Saturday during the 2017 Iron Horse Bicycle Classic pro race . Even at 61, Ned Overend proved he can race with the best with a seventh-place finish Saturday in the 46th Iron Horse Bicycle Classic. Howard Grotts left, and Sepp Kuss, push each other up Coal Bank Pass during the 2017 Iron Horse Bicycle Classic pro road race Saturday.